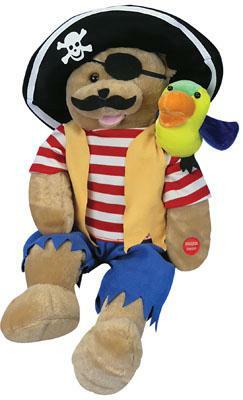 22" Chantilly Lane Capt'n Salty & his parrot, Pepper are ready for the party! Both sing verses together and sparately. Heads sway and mouths move while singing, "Hot!, Hot!, Hot!"